Jordan Speith’s loss at the Masters may have been a big upset in the golf world, but it gives us the opportunity to learn three important business lessons. You don’t have to be a rabid golf fan to know that something just happened in professional golf that was unpredictable and unlikely. Jordan Spieth lost The Masters golf tournament after leading by five shots with only nine holes remaining. But a funny thing happened on the way to the trophy presentation. 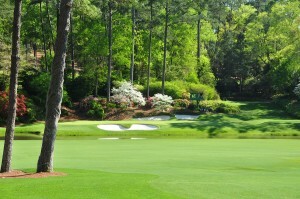 Danny Willett of England shot a final round 67, while Spieth scored a title-surrendering 73, after dunking two balls into the water on the famed 12th hole (pictured above). So Willett—never mentioned as a tournament favorite–won the championship by three shots. While the golf pundits stay busy exploring what this stunning upset means for professional golf, let’s consider three vital business lessons Spieth’s loss provides. Apply her advice to today’s flooded job market. True, job seekers are wise to highlight their major accomplishments in their resumes, and to refer to them during their interviews. Although these achievements help their cause, past activities alone won’t land a new position. A potential employer will determine what you can do for her company now, next year, and beyond. How will you boost teamwork, sales, and customer service? Will you adjust successfully to the new corporate culture? In the music industry, the phrase “one hit wonder” applies to many recording artists. Sadly, their careers plummeted soon after a meteoric rise to the top of the charts. They didn’t keep producing what the public would buy. So follow Mary Kay’s counsel. While describing your career, talk about your wins enough to build your credibility, yet emphasize what you are going to do next that will benefit your employer, clients, employees, other constituents, plus that all-important bottom line. New Masters Champion Danny Willett didn’t qualify for The Masters by winning something like the Toledo club championship. Though far less heralded in the United States than Spieth, Willett ranked twelfth worldwide among professional golfers, and had finished sixth in the British Open. One key to remaining at the top in business is to recognize that vastly gifted competitors challenge you–to remain innovative, to adjust to shocking changes, to be the first to offer new products and services, and to treat your customers better than anyone else could. As we know, any business executive who thought he could ignore the lesser known competition was miserably mistaken. Walmart has become the world’s largest corporation according to revenue, and the world’s largest private employer. So here’s a second vital message: Never assume the competition seems trivial, less prestigious, or unlikely to take control. Plan, work, manage, sell, and motivate as though your competitors are gaining on you. . .big-time. So, Jordan Spieth did not win The Masters, and resembled an amateur badly in pursuit of his club’s championship. Yet would you consider him washed up, a has been? Would you bet against him in any tournament he enters? A thousand dollars, or more? Not likely–because you know that one loss, even one witnessed worldwide, will not destroy his confidence permanently, reduce his talent, or erase his drive to regain and keep the number one spot. Relating to the business scene, have you experienced any of these threats? Once more, use the Jordan Spieth analogy. You, too, will reach top levels again.Chances are strong you have done that before, after what you considered a career-ending catastrophe. Now, you are even more skilled, you have additional leaders referring you, and you know you can adjust to unsettling situations. Yes, Jordan Spieth, you didn’t win the coveted green jacket, but certainly you gave all of us three superb business lessons. And check with me too about my Speech Coaching plan that will help you speak confidently, clearly, and convincingly. 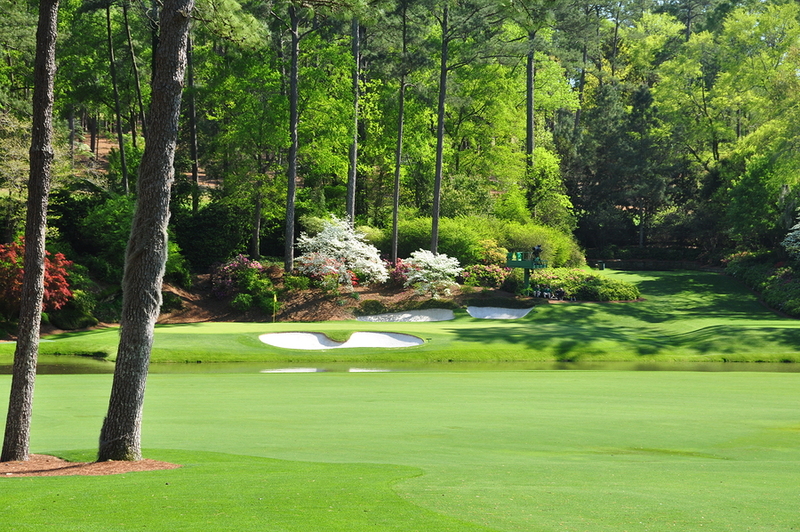 This entry was posted in golf, PGA Tour, speech coaching and tagged 80th Masters Tournament, Butler Cabin at Augusta, coveted green jacket, Danny Willett wins Masters, defending Masters Champion, folding under pressure, Jordan Spieth Masters loss, lost five shot lead, Mary Kay Ash, one hit wonder, rest on your laurels by admin. Bookmark the permalink.